Let’s start by taking a true look at what loneliness is? 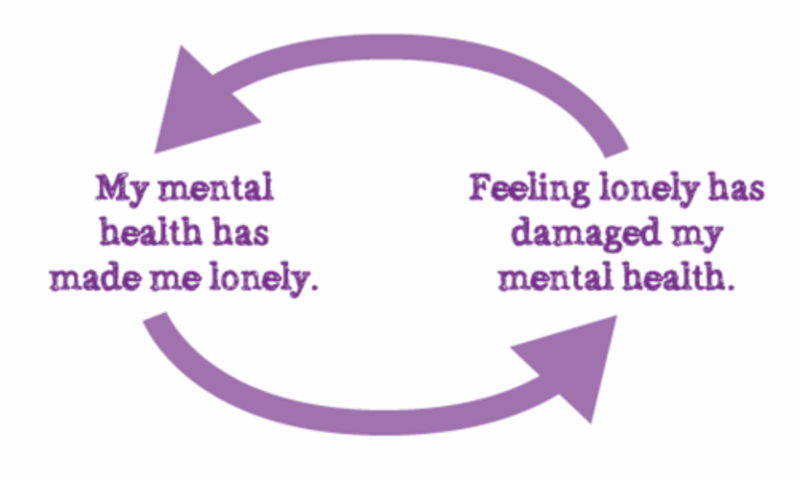 Anxiety and Depression whilst loneliness is not a mental health problem, a mental health problem can create a feeling of loneliness and by feeling lonely it can impact on your mental health, a bit of a chicken and an egg situation. It doesn’t necessarily mean that you are alone, as an individual can feel perfectly okay with this and in fact content. A person can feel lonely in a crowd of people whether in a loving relationship or single as it is a feeling of not being connected to others, of feeling uncared for and misunderstood. Sometimes it can be when a person is isolated and not seeing or speaking to others on a regular basis as well. It is the mind’s way of letting you know that you need more social contact with like-minded people. Where to meet new friends? Write a list of the people that you already know and try to identify why you do not feel connected to these people. Are there are common themes running through? Do you feel vulnerable with certain types of people? Do you find small talk hard work? Or maybe you were connected once upon a time but have become estranged for some reason? It may feel difficult but reaching out through a text, email or phone call could be the icebreaker needed to build up the friendship once more. If meeting new people or old friends feels very daunting, consider activities that involve you spending time together but without too much direct conversation, such as a trip to the cinema or taking part in an activity such as a pottery class. Also having a pet may be an option to take the edge of off loneliness, having an animal to focus on and show affection can be very comforting. Having a dog would also encourage dog walking and another opportunity to meet other dog owners and a chance to strike up a conversation. Sometimes people remain lonely because they have not dealt with past negative emotions with a certain person or a situation and their mind links how they feel to the social event, therefore creating a negative attachment and viewing it as a situation to avoid. Adopting a positive mindset to tackle your feelings is a great start and by committing to making small changes will lead to greater change and benefit your wellbeing. If loneliness has been part of your life for some time it will no doubt have created you a certain amount of stress. Examining the key areas of your wellbeing may be a good idea to check out whether it has affected your sleep, your self-esteem, your appetite and your physical activity. If you do find it has had a negative impact you could look to improving these whilst involving a social activity and dealing with both issues at once, such as joining a yoga class, taking part in a walking group or joining a dining club. These are just a few suggestions to combat this common feeling. However, if you find that the problem does not improve or gets worse, counselling may help you to open up and talk through your feelings. Please contact me for more information.